PLEASE READ! 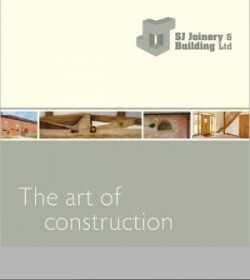 www.sjjoineryandbuilding.co.uk REQUIRES CONSIDERATION FOR AND AS A CONDITION OF ALLOWING YOU ACCESS. ALL PERSONS UNDER THE AGE OF 18 ARE DENIED ACCESS TO www.sjjoineryandbuilding.co.uk. IF YOU ARE UNDER 18 YEARS OF AGE, IT IS UNLAWFUL FOR YOU TO VISIT, READ, OR INTERACT WITH www.sjjoineryandbuilding.co.uk OR ITS CONTENTS IN ANY MANNER. www.sjjoineryandbuilding.co.uk SPECIFICALLY DENIES ACCESS TO ANY INDIVIDUAL THAT IS COVERED BY THE CHILD ONLINE PRIVACY ACT (COPA) OF 1998. Unless you have entered into an express written contract with this website to the contrary, visitors, viewers, subscribers, members, affiliates, or customers have no right to use this information in a commercial or public setting; they have no right to broadcast it, copy it, save it, print it, sell it, or publish any portions of the content of this website. By viewing the contents of this website you agree this condition of viewing and you acknowledge that any unauthorized use is unlawful and may subject you to civil or criminal penalties. Again, Visitor has no rights whatsoever to use the content of, or portions thereof, including its databases, invisible pages, linked pages, underlying code, or other intellectual property the site may contain, for any reason for any use whatsoever. Nothing. Visitor agrees to liquidated damages in the amount of United Kingdom GBP £100,000 in addition to costs and actual damages for breach of this provision. Visitor warrants that he or she understands that accepting this provision is a condition of viewing and that viewing constitutes acceptance. Unless expressly authorized by website, no one may hyperlink this site, or portions thereof, (including, but not limited to, logotypes, trademarks, branding or copyrighted material) to theirs for any reason. Further, you are not allowed to reference the url (website address) of this website in any commercial or non-commercial media without express permission, nor are you allowed to ‘frame’ the site. You specifically agree to cooperate with the Website to remove or de-activate any such activities and be liable for all damages. You hereby agree to liquidated damages of GBP £100,000.00 plus costs and actual damages for violating this provision.